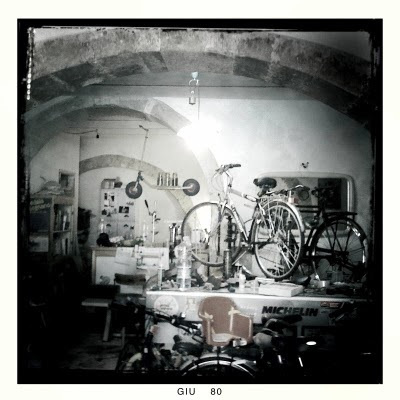 Ortigiano Bicycle Shop in Siracusa, Sicily. 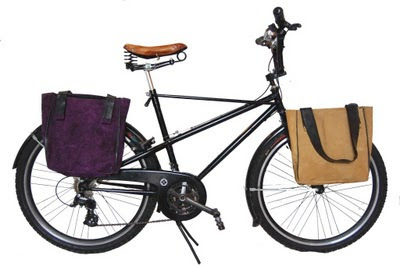 The seeds of Cycle Chic have been spread by the winds of change for a good portion of time now and small, fertile gardens of bicycle goodness are blooming all over the world. Not least on the island of Ortigia, just off the coast of Siracusa, Sicily, where Dave Jenkins owns a bicycle shop - Ortigiano. Dave is known locally as the man with the crazy bicycles. The city rubbish collectors bring him bicycles they find thrown away and he repairs them or uses them for parts. He also rents bicycles to tourists and his shop has become quite a photo opportunity for visitors. 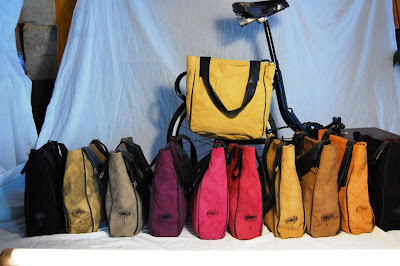 Dave also produces splendid bags that deserve a wider audience. He produces them himself con amore and sells them online and in the shop. He has a variety of colours and styles available. Ready-made for your shoulder or your pannier rack. 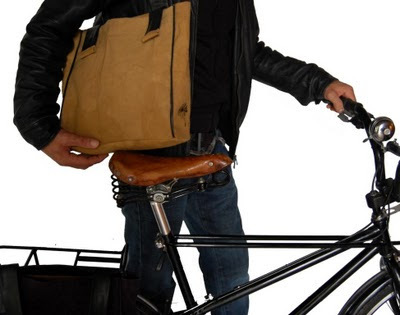 They're made of naturally-dyed cotton canvas and, of course, recycled bicycle inner-tubes. Dave's friend Alessia is responsible for dying the fabric and her steady hand is also involved with making the bags. She also has a lovely website. Dave collaborates with a friend from nearby Catania who makes unique buttons using lava from Mt. Etna and they add a brilliant detail to the bags. The bags cost €90 plus shipping. Dave will cycle on down to the post office to ship them wherever your heart desires. Contact Dave through his Ortigiano website. What bike is that? I love it.